Particle physics. 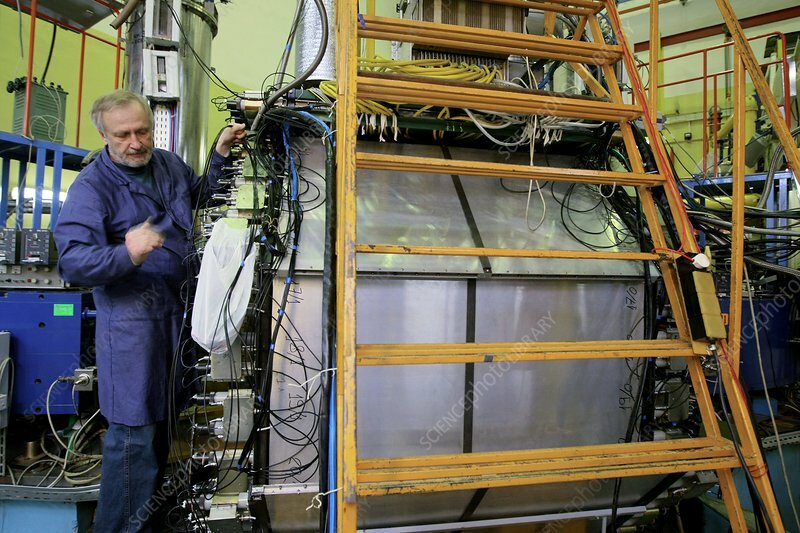 A scientist with the CMD-3 detector, used with the VEPP-2000 particle accelerator at the Budker Institute of Nuclear Physics, Novosiibirsk, Russia. VEPP-2000 is an electron-positron collider generating energies of up to 1.8 GeV (gigaelectron volts). CMD-3 is a cryogenic magnetic detector used to detect the particles generated in the collisions. Photographed in 2011.